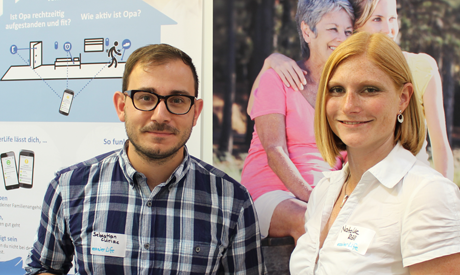 easierLife develops a system for assisting nurses and private persons with their nursing duties. Information about how the patients are doing at home is collected using motion and contact sensors. An analysis method evaluates the date and informs the relative or nurses if necessary and in case of emergency –via SMS, email or a smartphone app. We interviewed the team on the idea behind easierLife, its founding period, and future prospects. Das Unternehmen SearchHaus GmbH ist auf Suchlösungen für strukturierte Daten spezialisiert. Durch neuste Suchalgorithmen und einfache Sucheingaben können verschiedene Datenquellen, wie Datenbanken, Wikis, Webseiten, ERP- oder CRM-Systeme durchsucht werden. Die Technologie erkennt Zusammenhänge in den Daten und liefert dadurch gezielte Antworten auf Suchanfragen. Dr. Daniel Herzig ist einer der Gründer. Wir haben ihn im Interview zu der Idee, der Gründungszeit und den Zukunftsaussichten befragt. In the past years, the methods in biotechnology and the acquisition procedures for dynamic 3D microscopy and 3D cell biology have evolved to an impressive extent. The current 3D microscopy types offer an enormous amount of detail. This creates a challenge to evaluate the respective data promptly. The da-cons GmbH offers concepts that allow us to effectively and efficiently evaluate image data. Sebastian Pfeiffer is a founder and managing director of da-cons. In an interview, we asked him about their idea, startup phase, and future prospects. Knowtion was founded in 2011 as an engineering and software service provider. For over seven years, the team has been actively concerned with the research and development of processes for data fusion. Scientific excellence and years of experience with industry-related research projects allow them to provide these processes as adaptive soft sensors for businesses.